Pin base or panel mounted circuit breaker, rated at 7A for 12-24V DC systems, thermal bi-metallic with manual re-set and manual trip. Pin base circuit breaker styles for mounting on to plastic bases and then into panels. In some types of panels, the circuit breakers can be mounted through the panel to leave the reset button on the panel front for resetting. Durite 12V-24V dc 15 amp thermal circuit breakers, ‘push to reset’ single pole circuit breaker. Durite 12V-24V dc 20 amp thermal circuit breakers, ‘push to reset’ single pole circuit breaker. 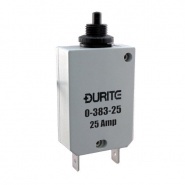 Durite 12V-24V dc 25 amp thermal circuit breakers, ‘push to reset’ single pole circuit breaker. 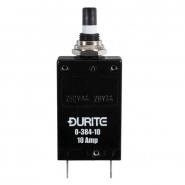 Durite 12V-24V dc 30 amp thermal circuit breakers, ‘push to reset’ single pole circuit breaker. 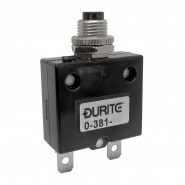 Durite 12V-24V dc 35 amp thermal circuit breakers, ‘push to reset’ single pole circuit breaker. Durite 12V-24V dc 40 amp thermal circuit breakers, ‘push to reset’ single pole circuit breaker. Durite 12V-24V dc 45 amp thermal circuit breakers, ‘push to reset’ single pole circuit breaker. 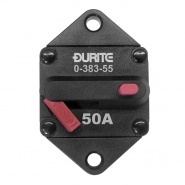 Durite 12V-24V dc 50 amp thermal plastic circuit breakers, ‘slide to reset’ single pole circuit breaker. 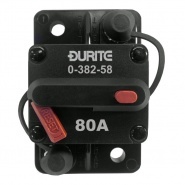 Durite 12V-24V dc 60 amp thermal plastic circuit breakers, ‘slide to reset’ single pole circuit breaker. Durite 12V-24V dc 80 amp thermal plastic circuit breakers, ‘slide to reset’ single pole circuit breaker. Durite 12V-24V dc 100 amp thermal plastic circuit breakers, ‘slide to reset’ single pole circuit breaker. Durite 12V-24V dc 150 amp thermal plastic circuit breakers, ‘slide to reset’ single pole circuit breaker. Durite 12V-24V dc 200 amp thermal plastic circuit breakers, ‘slide to reset’ single pole circuit breaker. 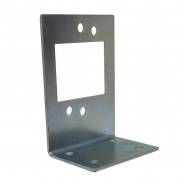 Durite thermal plastic circuit breakers mounting bracket. Pre-drilled 90° steel bracket. Durite 12V-24V dc 50 amp panel mounted circuit breakers, ‘slide to reset’ single pole circuit breaker. Durite 12V-24V dc 80 amp panel mounted circuit breakers, ‘slide to reset’ single pole circuit breaker. Durite 12V-24V dc 100 amp panel mounted circuit breakers, ‘slide to reset’ single pole circuit breaker. 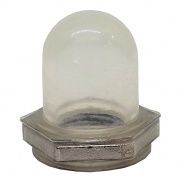 Durite thermal plastic circuit breakers mounting pad. 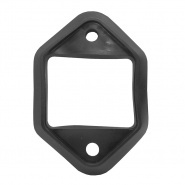 Soft PVC mounting pad. Pin base or panel mounted circuit breaker, rated at 5A for 12-24V DC systems, with manual re-set, for panel hole: 9.6mm diameter. Pin base or panel mounted circuit breaker, rated at 10A for 12-24V DC systems, for panel hole: 9.6mm diameter. Pin base or panel mounted circuit breaker, rated at 15A for 12-24V DC systems, for panel hole: 9.6mm diameter. Pin base or panel mounted circuit breaker, rated at 20A for 12-24V DC systems, for panel hole: 9.6mm diameter. Pin base or panel mounted circuit breaker, rated at 25A for 12-24V DC systems, for panel hole: 9.6mm diameter. Pin base or panel mounted circuit breaker, rated at 5A for 12-24V DC systems, thermal bi-metallic with manual re-set and manual trip. Pin base or panel mounted circuit breaker, rated at 10A for 12-24V DC systems, thermal bi-metallic with manual re-set and manual trip. Pin base or panel mounted circuit breaker, rated at 15A for 12-24V DC systems, thermal bi-metallic with manual re-set and manual trip.